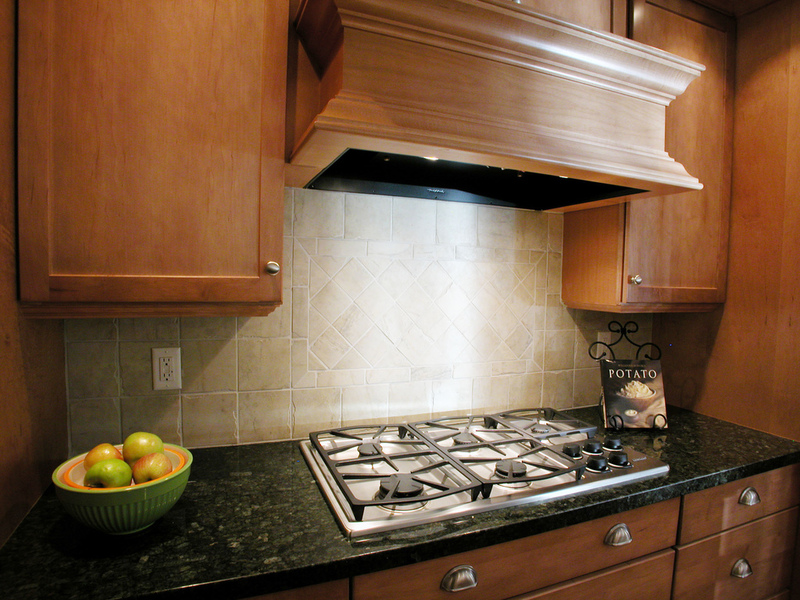 If you spend a lot of time cooking and preparing meals, range hoods should be one of the appliances you clean most often. But it’s pretty easy to overlook among all the other kitchen chores. The range hood can look quite clean on the outside, while on the inside its filter can be a greasy mess. In fact, it could start a fire if any of the grease drops onto a hot surface below. Keeping your range hood in good working order allows it to perform many functions, such as removing unwanted odors, moisture, and grease. It also removes carbon monoxide, nitrogen dioxide, and other pollutants that are unavoidably released into the air when cooking. You can avoid these hazards to your health with proper cleaning and maintenance of your range hood. Don’t allow grease, dust or other deposits to remain for long periods of time on your range hood. It’s always a good idea to do a quick wipe-down of the hood cover as part of your daily kitchen cleaning routine. This will save you time when you have a chance to do a more thorough cleaning later. It’s always important to follow your manufacturer’s instructions, but here are some general methods for cleaning range hoods. Stainless steel is one of the easiest materials to keep clean. Make sure the range hood is turned off. Cover the stovetop with a drop cloth or towels to protect it from cleaner drips. Use a mixture of hot water, environmentally friendly dish soap, and baking soda. Take a soft cloth or sponge, dip it in the water, and wipe the hood in circles. Always clean in the direction of the original polish lines. Rinse well with clear water (2 or 3 times). Wipe dry with a clean soft cloth, such as a microfiber cloth, and buff the hood. For discolorations or deposits that persist, use a non-scratching household cleanser, or stainless steel polishing powder with a little water, and a soft cloth. For stubborn cases, use a plastic scouring pad or soft bristle brush, together with a cleanser and water. Rub lightly in the direction of polishing lines or “grain” of the stainless finish. Avoid using too much pressure — that could mar the surface. Do not use ordinary steel wool or steel brushes. Small bits of steel might cause scratches and also adhere to the surface, causing rust. Do not allow salt solutions (chloride, fluoride, iodide, bromide), disinfectants, bleaches, or cleaning compounds to remain in contact with stainless steel for extended periods. Many of these compounds contain chemicals that may be harmful to the surface. Rinse with water after exposure, and wipe dry with a clean cloth. Any combustible products used for cleaning, such as acetone, alcohol, ether, benzole, etc., are highly explosive and should never be used close to a range. Painted range hood surfaces should be cleaned with warm water and mild detergent only. To clean the underside of the hood (which can get nasty), use a degreaser. Spray and wait a couple of minutes, then wipe with a wet sponge to remove the residue. Avoid spraying the cleaner directly onto the light bulb or light bulb socket. Next, wash the area with the water mixture, then rinse thoroughly with clear water, and dry. Don’t forget to clean the flue if your range hood model has one. Clean a copper range hood the same way you would a stainless steel one. When you’ve finished cleaning and drying it, give it a good polish. Apply a small amount of copper polish to a flannel cloth. Cover the hood with a thin layer of polish and let it dry. Rub the hood in small, circular motions until it shines, and there’s no polish residue left. Cover the stove top with a drop cloth or towels to protect it. Use a mixture of hot water, environmentally-friendly dish soap, and baking soda. Take a soft cloth or nonabrasive sponge, dip it in the water, and wipe the upper part of the glass hood. Rinse with clean water (2 or 3 times), and wipe dry with a soft cloth. Wipe the underside of the glass hood using the same steps as you did with the upper part. If the glass underside is really greasy, use a degreaser. Spray and wait a couple of minutes, then wipe with a wet sponge to remove the residue. Next, wash the underside with the water mixture, then rinse thoroughly with clear water, and dry. To avoid damage to the exterior surface, do not use steel wool or soap-filled scouring pads. To get a great finish, spray a little glass cleaner on the upper and lower parts, and wipe with a soft cloth. Clean the hood flue, if your model has one, with the hot water mixture. All range hoods have removable filters. It’s generally recommended to clean your filters every thirty days. Here are some guidelines for cleaning mesh and baffle filters (check your manufacturer’s instructions first). Wear gloves to prevent scrapes and cuts from sharp metal edges and corners. Carefully remove the filters from the hood, according to your manual instructions. Fill a bucket with very hot water (boiling if possible), baking soda, and environmentally friendly dish soap. Don’t use your sink. You don’t want grease getting into your pipes and causing future blockages. Submerge the filters into the bucket, and soak them for fifteen to thirty minutes. The filters are finished soaking once most of the grease has dissolved from the surface. Carefully remove the filters from the bucket, and scrub them with a soft-bristled brush. Use more dish soap and baking soda as needed to get them clean. If the water becomes too contaminated, mix up a fresh bucket. Don’t dump the dirty water down the sink. Use a designated sewer drain, or dump the water into a plastic container, or coffee can, and put it in the trash. Once the grease is gone, rinse the filters completely with hot water in your sink, then pat them dry with paper towels or clean cloths. Allow them to air-dry before replacing them in the range hood. If the filters become rusted, or won’t come clean, it’s time to replace them. With models that have a grease tray or cup, remove it for cleaning when you clean the filters. Soak the tray/cup in a degreaser until the grease is dissolved, then wash it in hot, soapy water, and dry it with a soft cloth. Some metal and aluminum filters are dishwasher-safe (check the manual), but as a precaution make sure they’re not too greasy, or the grease released could clog up the dishwasher’s drain. Use a non-phosphate detergent, as discoloration may occur using one with phosphate. If your cooking style generates a lot of grease (frying and wok cooking), check your filters to see if they need cleaning more often than the recommended time frame. Some range hoods even have indicators that alert you when it’s time to clean their filters (after thirty hours of use). Carbon and paper filters can’t be washed, but need to be replaced — carbon filters every three to six months, and paper filters when their saturation indicator lines turn red. Clean your fan blades frequently with a degreaser, or warm, soapy water to prevent buildup of dirt and grease. This will help avoid excess stress on your motor, and keep it from overheating. A blower wheel gets greasy and dirty over time, and can slow down the fan or cause vibration. Remove the wheel, and clean it with a degreaser, or soak it in warm, soapy water. Then, if the fan is still slow, or if it vibrates, you need to replace the fan motor. When doing any kitchen construction, don’t let plaster dust or any other construction residue reach the hood. During construction/renovation, cover the range hood to make sure no dust or other particles scratch or stick to the surface. Cleaning your range hood in accordance with the manufacturer’s instructions will help to keep it both functional and beautiful. For help with repair and maintenance to all your major appliances, call C&W Appliance Service at (855) 358-1496 or (214) 358-1496 or send us a service request form.